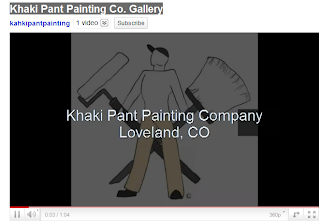 You can view the Khaki Pant Painting gallery video here. This video is a compilation of some of our work. This was the first attempt at making a movie with our new video editing software. Although this video looks pretty simple there was a learning curve that took a while to produce this.